DENSO is a leading supplier of radiators to OE car makers around the world. Manufacturers rely on our quality and innovation to remain on the leading edge of engine cooling technology. DENSO’s OE experience and know-how ensure our aftermarket products provide unmatched performance, reliability and fitment. 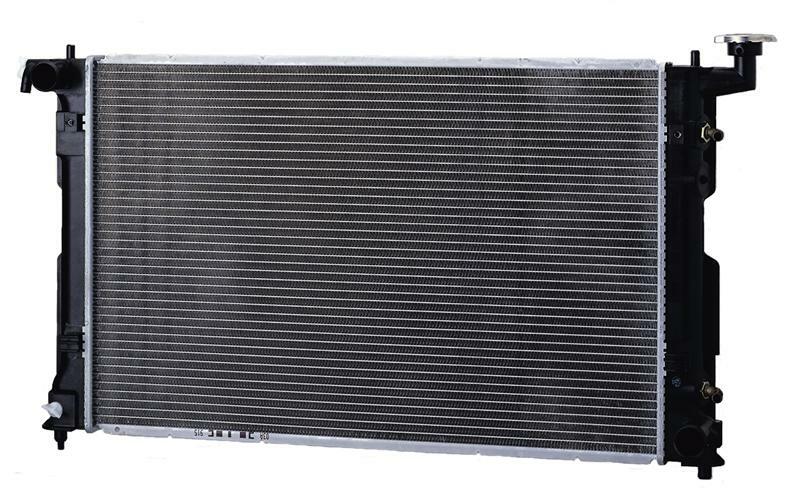 Radiator performance is essential for proper engine cooling and function. DENSO’s radiator configurations, tanks, fin pitch, core dimensions and materials meet OE manufacturer’s rigid standards. All DENSO radiators pass our strict durability and function tests. As the result, our First Time Fit radiators deliver reliable performance even under the most demanding conditions. DENSO is known for the unsurpassed quality of its products. Plastic, copper or aluminum components – it doesn’t matter. All DENSO radiators are dependable, light weight and made to last. An investment in a DENSO radiator will pay dividends in Radiators can fail causing leaks or inefficient cooling. This can lead to your engine to run hotter which in turn creates excess wear and tear on the engine.